What good is a hard-sided cooler if you have to burn all your beer money to buy it, and if said beer makes it too heavy to carry? 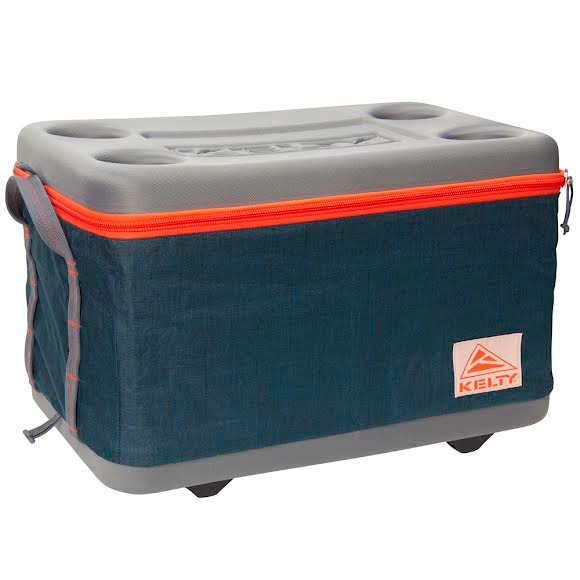 Get Kelty's Folding Cooler and chill your stuff without the fuss. This lightweight, soft-sided cooler has been redesigned to deliver even more bang for your buck, with improved insulation, more cup holders and festival-ready colors. What good is a hard-sided cooler if you have to burn all your beer money to buy it, and if said beer makes it too heavy to carry? Get Kelty &apos;s Folding Cooler and chill your stuff without the fuss. This lightweight, soft-sided cooler has been redesigned to deliver even more bang for your buck, with improved insulation, more cup holders and festival-ready colors. Even better: when empty, the Folding Cooler collapses to a height of 4 inches so you can reclaim your space on the ride home.